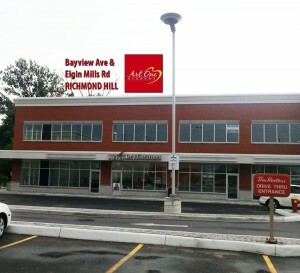 Art One Academy is delighted to announce that we are expanding our business by adding a second location in Richmond Hill North ( Elgin Mills &Bayview ). Our fabulous brand new facility will be ready to welcome new students as early as this Fall 2013! The move will accommodate recent growth and enable the Academy to maintain superior art education for its growing student body. The new studio will bring more opportunities for interested clientele by expanding their artistic knowledge and further developing their creativity. We are now in the process of professionally equipping our wonderful, larger studio with new easels and the highest-grade materials, which our talented students deserve.